Hi all! 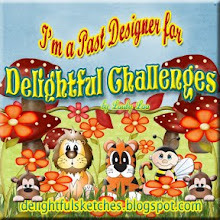 I'm back from the crop and no I did not come up with anything fantabulous with my Priceless stamp set. 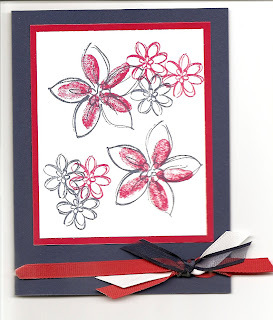 However, I did create a really cute recipe card for my make-n-take using Doodle This... way cute stamp set. Anyway, my recipe was Caramel Snack Mix and boy was it ever yummy! I think everyone enjoyed the make-n-take and the fact that they got to eat it (sort of), too, it was a hit. Yes, my make-n-take was 6x6 recipe card for the Caramel Snack Mix. I even broke down and bought a CTMH stamp set that I've been wanting for a very long time. It'll get here in time for my birthday. I met the nicest people today... Ralph from Crop til-ya Drop, a scrapbook store in Frederick brought a portion of his (and his wife's) store. He had my absolute favorite Basic Grey Infuse paper! He introduced me to QuicKutz Revolution. Neat machine. I bought a die. He also had a great make-n-take that his wife designed. Do you like it?? I can't remember the name of the die... Circles maybe? I really liked it, but I bought the other one. I also used QK acrylic stamps, too. You can't really see the scrolls of the stamps, they were stamped with VersaMark. Very nice idea. OK - well, I was going to continue working on my swaps... but I'm starting to get rather sleepy. I think I'll finish putting stuff away and then hit the sack! I'm working on some projects tonight to get ready to vend at an all day crop. So far all I've managed to get done is pay some bills (finally!). I have gotten so bad about sitting down every week to write out the checks I know I have to get in the mail! Oh well, it's done and nothing is late... yet. 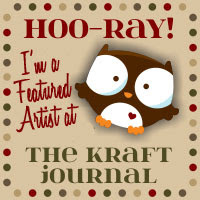 OK so I'm staring at one my new sets of stamps that I just got from Stampin' Up! and I'm so totally in love with this set that I'm afraid to get it dirty. Is that silly or what! But, I plan to create a 12x12 page class kit using this wonderful stamp set. Oh! I didn't tell you the name, silly me! It's called Priceless. Have you seen it? If not, check this out!! Is this not the cutest stamp set you've ever seen! It's so trendy and so sweet. It's going to fit in just about everywhere I want to put it... except maybe a major boy page. Anyway, so I'm trying to come up with a simple, yet very impressive page that will have people booking lots of parties! I'll post later to let you see what I've come up with. Hello everyone. It's been a few days since I've posted on here. It hasn't been a very productive week for me. I've just got so much going on that I've spread myself out too thin, I just wish all this thinning would show up on my backside!! Anyway, so I got myself a new dry erase board for my wall. I decided I need something visual in front of me so I can keep my committments fresh in my head. Well, I listed all my swaps and my list covers 1/3 of the board. I am sooo addicted to these swaps. I can't get enough. Even when my husband sees me on SCS, he says "no more swaps!" Haha! I'm hosting one for the ladies at work. A 6x6 recipe card swap that has been a lot of fun. 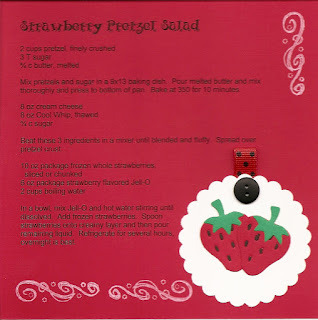 This is my one of my favorite recipe cards I've made. I love the scallop punches and I've had way too much fun using them. Let me know what you think. My sister even ordered the QK strawberry special for me to use on my page. She is so good to me. The swirls are from the retired Delight in Life. Nope, it's not made it the "to be sold" box yet. It sits on my table - it's getting used. The button came in a Secret Girlfriend box and I decided I needed to use what I was receiving instead of hoarding. I hope you like it! Oh, one more note about swaps... 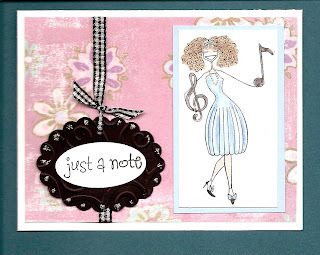 I'll be co-hosting a 6-month committment card swap like the one described below with the Musicabella card. If you're interested and want more details, please email me or PM me. Have a wonderful day!! 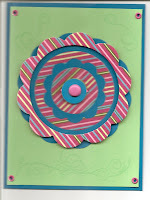 This is a card I made for a SCS card swap. What fun this was... we had to stamp a Bella image and send enough images and decorative paper for 6 cards that someone else is to make. Stephanie sent me Musicbella and this gorgeous paper. This was a real challenge for me since I'm not musically inclined, so wasn't real interested in getting this stamp. Now I love her! She's too cute!! Hey, is the scan better? I backed the white card with a darker color so you can actually see the cards edge. I hope you can see all the details. Is this just the cutest picture you've ever seen? I love this picture of my sweet Grandma. This gorgeous page was made by my sister Karin and it's just awesome!! 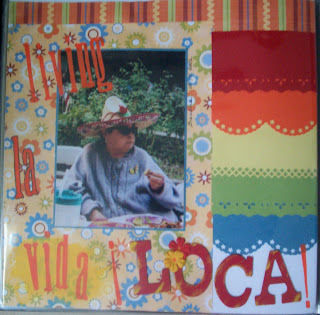 The colors have so much Latin flair and all the different punches she used to give it texture and life. The lettering is a combination of stamping with paint and chipboard letters. The picture is of my grandma, Josephine Gonzales, taken at (Karin correct me if I'm wrong) the nursing home she resided in until she passed away. I believe it was a Cinco de Mayo celebration, so they served Mexican dishes outside and Grandma put on her sunglasses and sombrero and joined in the celebration. We miss our Grandma so much, but looking at photos like these - you have to smile through the tears! These pages, I also created to display in my local LSS. I love these pages. These are my husband's grandparents. 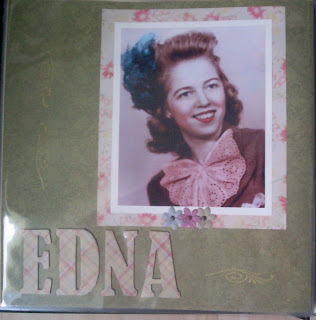 Edna moved on to be with our Lord in Heaven about 12 years ago, and George followed her a couple of years ago. I wish I could remember the name of the papers I chose for these pages, but I also used chipboard letters and covered them and primas. It also features Fabulous Flourishes (retired) stamped with Gold Archival ink. 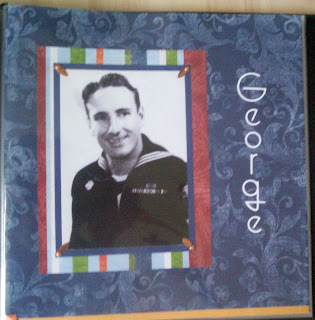 George's page - I love the simplicity of it. 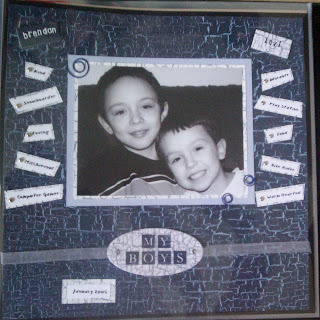 I used Sizzix Cherish font and photo turns. I made this layout to feature on a wall in my LSS, these are my boys - about 2 years ago now - and I absolutely love this page. This photo shows who they are: sweet, loving with a dash (OK, a lot of dashes) of mischieviousness. I also saw in a magazine where the layout did the journaling as bullet points and I really liked that. More to come... you've got me on a roll now!! OK, someday I'm going to learn how to scan my projects so that the pictures are better. I'm sitting here in my craft room working on 3 different projects - wishing I could get one done and I think to myself, hey, it's the 4th of July - I should post something to honor the holiday Melissa style. I also had Delight in Life sitting on my table needing to go into the "to be sold" box and so I figure I'll just use it. This is what I came up with in about 5 minutes. What do you think? I'm giving it to our neighbors. I hope they like it. I hope you all have a safe holiday. Enjoy the fireworks and cookouts but be safe. I want happy stampers!! 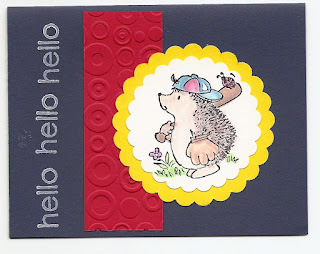 I removed a previously posted picture of this adorable hedgie because I did not get permission to publish my sisters card - for that I humbly apologize. I did make this card - my sister Karin sent me some stamped images of this adorable Penny Black image and I made this card to send to my friend's little boy who recently had surgery. I'm popping this into the mail to him tomorrow. I hear he's doing very well and is loving all the happy mail he's getting! I hope you enjoy the card, too. 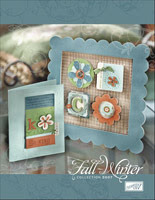 The beautiful new Fall-Winter Idea Book & Catalog is available!! I finally got my copy in the mail last night, I looked through it 3 times!! It's wonderful, the ideas are fresh and very trendy. 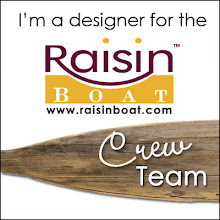 There are many new On Board items that are fun, fun, fun. 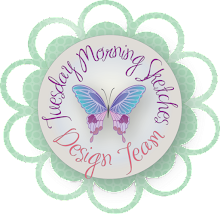 New shapes, clipboards to alter and the new decorative paper options - the possibilities are limitless!! 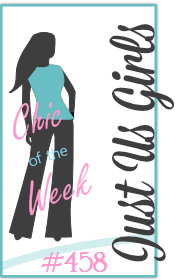 I can't wait to place my first order for new goodies! !